As part of the qualifying criteria, the candidate must compose an essay (not more than two (2) pages, double-spaced), explaining why she should be awarded this scholarship. The candidate is also required to demonstrate commitment as a volunteer in community projects by performing a minimum of forty hours per semester. The application material should include the following: (1) the essay, (2) list of volunteer/community projects and (3) school transcript (4) one or two letters of recommendation – one must be from school administrator, teacher or guidance counsellor (5) a resume and signed photograph of the candidate. These must be accompanied by candidate’s contact information (name/address/telephone/email address). The information must be emailed to Jamaican Women of Florida (JWOF) at scholarships@jamaicanwomenofflorida.com Application must be received by Saturday, February 23, 2019 by 6:00 p.m. 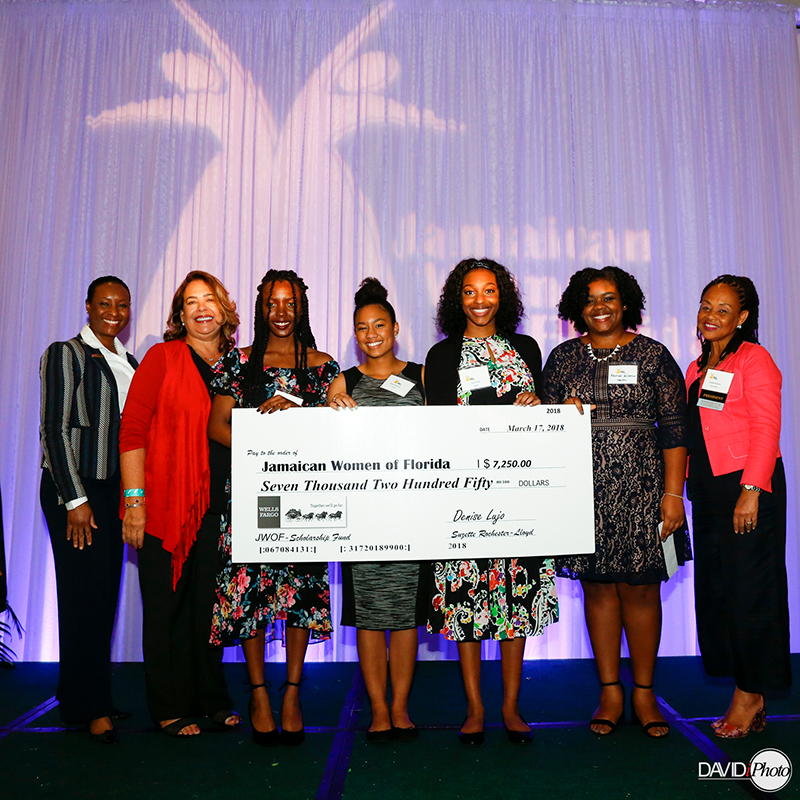 The recipient of the Powerful Women….Next Generation Annual Renewable Scholarship will be notified and is expected to be awarded at the sixth anniversary celebration of the JWOF organization which takes place at the Annual Women’s Empowerment Conference and Scholarship Luncheon, to be held on Saturday, March 23, at the Jungle Island, Miami Beach. High School students and their parents are being encouraged to join JOWF on February 12th, 2019 from 6PM-7:30PM at the South Regional/Broward College Library for a Scholarship Networking Event. The event will include a panel discussion, access to BRACE advisors, networking and info on applying for the JWOF scholarship.